The hot new location for all your beauty needs. 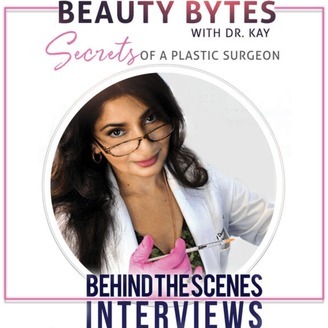 Learn how to stay beautiful on the inside and out with advice from Kay Durairaj, MD, a top plastic surgeon from Los Angeles, California. This podcast will feature the inside scoop on trends in plastic surgery, botox, fillers, beauty, and wellness. Guest stars will include influencers, entrepreneurs, and other top plastic surgeons across the country. 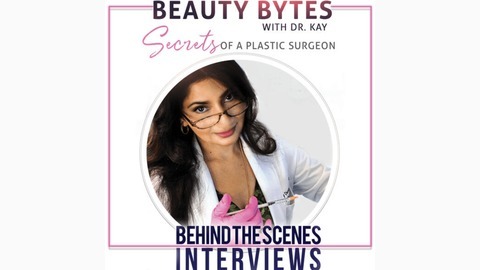 Stay tuned for Beauty Bytes, and follow us on Instagram @beautybydrkay. On this week's Five Minute Friday, I talk to you about tanning beds and the risk that comes with them! As a facial plastic surgeon, I know a thing or two about the negative effects tanning can have on your skin. More than a million cases of skin cancer will be diagnosed this year and 90 % of those cases can be brought on by sun exposure and tanning beds. With prom season rapidly approaching and many brides getting ready to tie the knot, a "base tan" is more often than not on their checklist. I cover some of the different types of skin cancer, why tanning beds are your skin's worst enemy, and some of the ways you can shield yourself from the sun! Find my best skin protecting skincare here! Watch my Youtube video about chemical peels here!